If you are looking for the best electrician Prahran has to offer, you can’t go wrong with E J Lack Electrical! We have been delivering high quality electrical services to homes and businesses around Melbourne since 1963. Based in Hawthorn, we primarily cater to suburbs throughout the cities south east such as Richmond and Prahran. Our electricians are commended for their workmanship and customer consideration– so you can be sure to receive the best quality electrical service! For Melbourne’s finest electrician, Prahran residents can rely on E J Lack Electrical for all their electrical needs. Our team of fully qualified electricians have a great deal of experience working on many commercial and residential projects. We believe there is no job we can’t do, big or small! 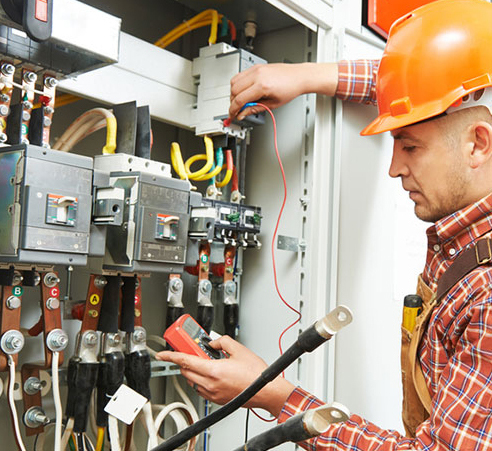 So, whether you need an electrical repair, installation or routine maintenance, we can take care of any electrical job for you. You’ll be impressed by our electrical knowledge and broad skills set. As experienced professional electricians, Prahran clients know they can depend on E J Lack Electrical for any type of electrical service. We can do anything from rewiring homes to safety switches and even video intercom systems – we do it all! Need a quality electrician? Prahran locals can all E J Lack Electrical today! In addition to Prahran, we also provide services to Kew, Camberwell, Malevern, Balwyn, Alphington, Ivanhoe, Brighton and surrounding suburbs.